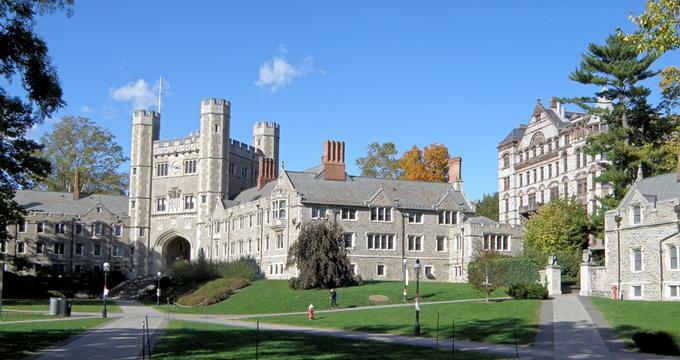 Princeton is a small city in New Jersey and one of the world’s most famous college towns. 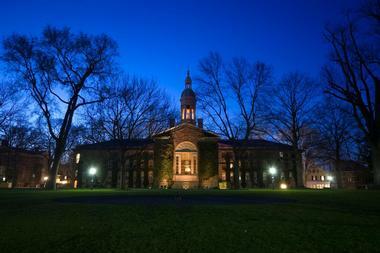 Established in 1675 near the banks of the Delaware River, Princeton became the place of high quality education with the completion of Nassau Hall in 1754. Stroll along the downtown Nassau Street, visit the historic Palmer Square, explore the Princeton University Art Museum, watch a show at the McCarter Theater, and listen to the Westminster Choir. Here are the best things to do in Princeton, NJ. 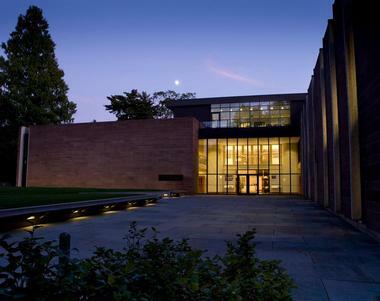 The Princeton University Art Museum is recognized as one of the best small museums in the world, with over 92,000 art pieces from all over the world, ranging from ancient to modern. Only a small part of the collection (about five percent) is displayed at any given time in one of the 26 galleries. Every season, one or more of the gallery collections rotates and goes on display. 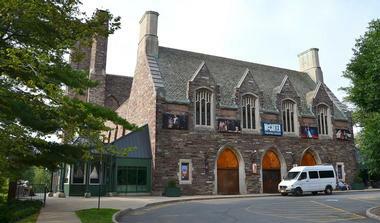 With more than 200 performances every year in theatre, music, dance, and all kinds of special event, McCarter Theatre Center for the Performing Arts is one of the most active American cultural centers. McCarter provides culture and entertainment to the largely local audience of more than 200,000 people from New Jersey’s twenty-one counties, as well as theatre lovers from New York, Pennsylvania, and other states. It is the only professional producing theatre in the country that is also a presenter of the diverse performing arts. McCarter was established in 1930, and ever since, they have had strong commitment to introducing new works to the theatre, reimagining classical repertoire and attracting the best performing artists of the world to Central New Jersey. McCarter has highly active community and school education programs that have achieved wide acclaim for their high quality, diversity, and originality. The woods and fields about a mile from modern day Princeton University served as the site of one of the fiercest battles during the American Revolution in 1777. The battle ended when American troops commanded by General George Washington defeated British Regulars. The Battle of Princeton marked Washington’s first victory against the British. An old oak, today called the Mercer Oak, stood in the middle of the battlefield near the spot where General Hugh Mercer was wounded during the battle. He died nine days later in the Clarke House. The house, built by Thomas Clarke, stands today as witness to the fierce fighting, and it is filled with war exhibits and furniture pieces from the period. Besides the battlefield, Mercer Oak, and the Clarke House, Princeton Battlefield State Park contains the Ionic Colonnade designed by the architect Thomas U. Walter, as well as a stone patio that marks the graves of American and British soldiers who died in the battle. The Delaware & Raritan Canal was built across New Jersey during the early nineteenth century to provide a safe and efficient route for moving cargo between New York and Philadelphia. Today, about 70 miles of the canal and its tributaries form a park that is one of the most popular New Jersey spots for canoeing, hiking, jogging, bicycling, horseback riding, and fishing. For nature lovers and bird watchers, there are about 160 species of birds in this verdant and important wildlife corridor. 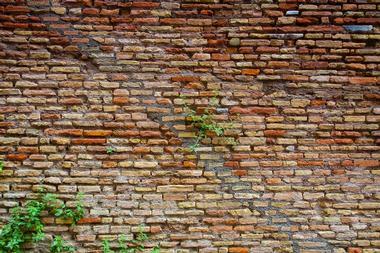 History buffs will appreciate the picturesque 19th century wooden bridges, bridge tender houses, various locks (or what is left of them), cobblestone spillways, and stone-arched culverts. Located at the end of Princeton’s Nassau Street in the Historic Princeton and inspired by the carvings on the Parisian Arc de Triomphe, a magnificent 50 feet tall sculpture of General George Washington is surrounded by a lovely park. The monument depicts General Washington leading his troops into the victorious battle. The monument, designed by Frederick MacMonnies and Thomas Hastings, was completed in 1922. 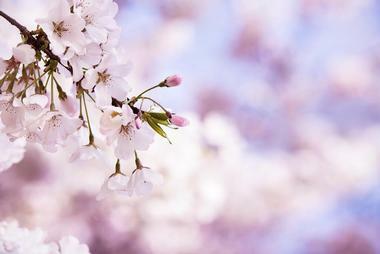 The path that leads to the monument is lined with cherry trees that are a truly spectacular sight when in full bloom. The beautiful park contains several notable sculptures such as the bust of Albert Einstein, who lived in Princeton until his death, The Newspaper Reader by J. Seward Johnson Jr., and the bell of the USS Princeton. 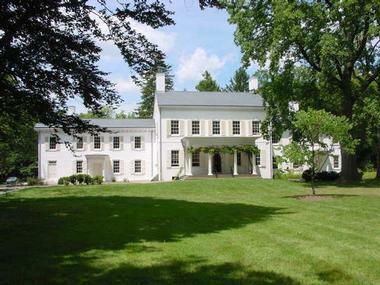 Morven is a historic 18th-century house built by the prominent lawyer Richard Stockton in 1750 for his family. Stockton was one of the signatories of the Declaration of Independence. The house, which is today a National Historic Landmark, served as the New Jersey Governor’s Mansion from 1944 until 1981. 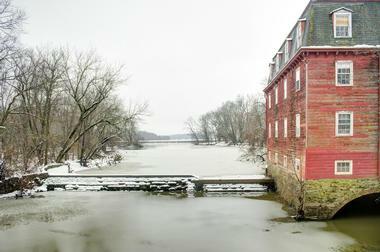 The uses for Lake Carnegie are as unique as its history. A former member of the Princeton Varsity Crew Team, Howard R. Butler, was painting a portrait of Andrew Carnegie in the area. Butler told Carnegie of the team’s predicament of rowing through a narrow canal, piquing Carnegie’s interest. He funded the purchase of the surrounding properties to construct a lake, one that would take three years to complete. 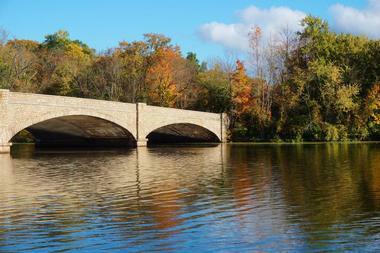 Over a century later, Lake Carnegie is privately owned by Princeton University and is used by its rowing team. The grounds are open to the public, and visitors can spend their time ice skating, taking a stroll, or picnicking. The lake is home to a variety of fish such as bass, carp, catfish, and trout, making it an excellent spot for fishing. Currently the center of Princeton University’s administrative offices, Nassau Hall plays an important role in national history. Other than featuring student and faculty residence, a library, classrooms, and a chapel, it also housed American and British soldiers during the American Revolutionary War. Architecture aficionados marvel as the mixed styles of three architects, Robert Smith, Benjamin Latrobe, and John Notman, are made visible from the towers to the floors and exterior walls. Designated as a National Historic Landmark by the U.S. Department of the Interior in 1960, visitors can meander through halls that once welcomed the New Jersey Legislature, the Congress of the Confederation, and the first United States President, George Washington. Only a few minutes outside of historic Princeton you will find rolling hills, orchards bursting with fruits, cows and horses peacefully grazing, and rows and rows of grapes ready to be turned into great wines. 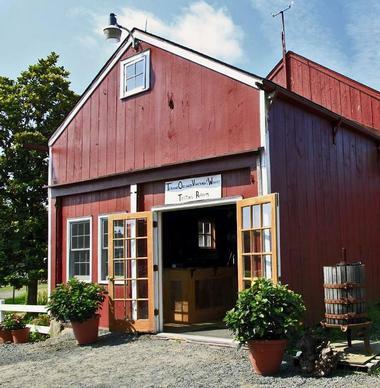 Passing through Princeton and not visiting the most popular of the neighboring farms – Terhune Orchards and Winery – is just not an option. A family favorite, Marquand Park is a lovely place to spend an evening exploring the nature in Princeton. The 17-acre park and arboretum offer a variety of recreational experiences, from walking the paved trails to playing in the playground or at the baseball field. There are benches and picnic tables scattered throughout the park, encouraging visitors to pack a picnic basket. 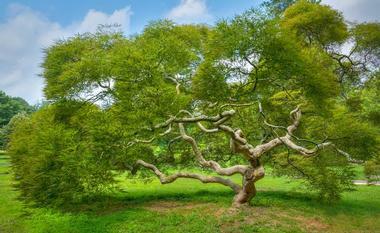 The hallmark of Marquand Park is its trees – over 140 different native and exotic specimens can be found in this historic preserve of trees and woodlands. The varied collection reflects the tastes of previous owners, as Marquand Park was originally the landscaped garden of a 19th century estate. A tour through Drumthwacket, the official residence of the Governor of New Jersey, will give visitors a glimpse of all of the history and culture Princeton has to offer. Built in 1835 by Charles Smith Olden, the 28th Governor of New Jersey, Drumthwacket has undergone a number of expansions, most of which were brought about by its former owner Moses Taylor Pyne. Visitors can view the original structure comprising a center hall and a large portico – some of Pyne’s additions include wings on each side of the house, a paneled library, greenhouses, dairy farms, and a large landscaped garden. Listed on the National Register of Historic Places, Drumthwacket can be toured at no cost on Wednesdays. Visitors are welcome to the elegant and charming Princeton University Chapel, a Princeton landmark since 1928. 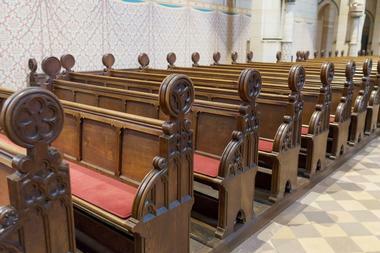 A popular site for weddings and memorial services, the chapel brings alumni, faculty, townspeople, guest preachers, and Princeton friends, and visitors together in a weekly service. The privately-owned Princeton Tour Company offers visitors numerous ways of exploring everything Princeton has to offer, from private and group walking and bike tours to pub crawls and ghost tours. 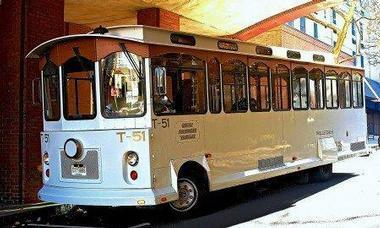 The company also has tailor-made packages for school trips and corporate events. Steering away from the norm, the Princeton Tour Company offers some unique Princeton-style experiences: visitors can dine with Nobel Prize winners in private events, have supper in a private dining club, participate in a scavenger hunt in downtown Princeton, or investigate Princeton’s paranormal activities in the town’s haunted inns, buildings, and cemetery. 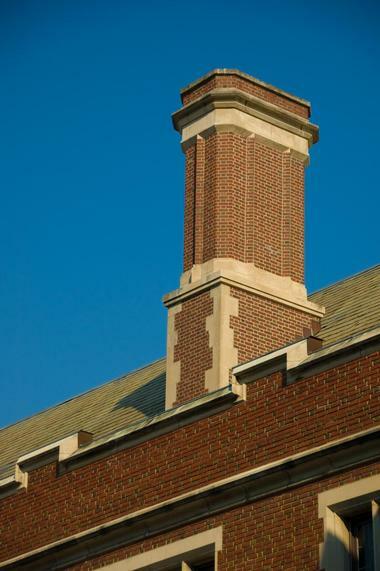 One of the iconic architectural features of Princeton University, the 173-foot Cleveland Tower is a soaring landmark on the Princeton skyline. Bordering the main entrance to the college, the tower was erected as a memorial to President and Princeton University trustee, Grover Cleveland, in 1913. In 1927, the Princeton University Carillon was added. Now, visitors can view the fifth largest carillon in the country and one of the tenth largest in the world. The tower is home to the annual Summer Carillon Series, and a visit during this event will allow you to see carillonneurs from around the world. 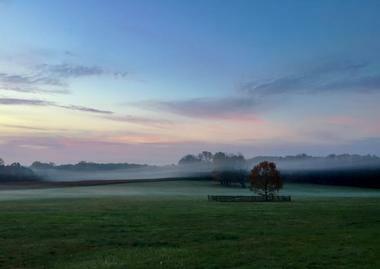 You may also like: 23 Beautiful Weekend Getaways in New Jersey. You have a pretty good idea that the restaurant is going to serve incredibly fresh fish when you know that they have their own seafood and produce market next door. 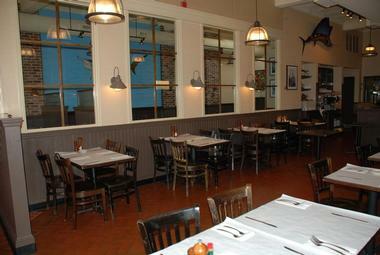 Blue Point Grill is called New Jersey Oyster Bowl for a reason – it serves up to 10 kinds of fresh oysters daily. And oysters are just the beginning. Their New England clam chowder is spectacular, and grilled Portuguese octopus will win you over, encouraging you to try the more exotic choices. The menu changes depending on what is available in season, the restaurant is opened only for dinner, and you bring your own booze. Look for a table on their beautiful patio. 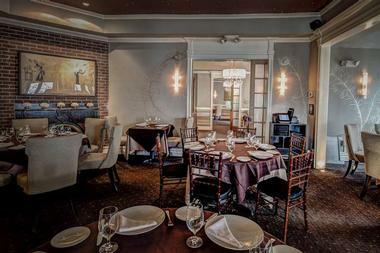 Located in the magnificent 18th century colonial mansion just minutes from the Princeton University Art Museum, The Peacock Inn Restaurant is a visual delight that will arrest your senses the moment you enter. Very sophisticated and elegant, the dining room is filled with high quality art, a number of delightful murals, and charming menus from the 1930s. The dishes Executive Chef Jason Ramos offers are just as visually stunning, and wait until you taste them. The seasonal menu features local, fresh ingredients made into unique, mouth-watering delights such as Foie Gras Torchon with quince, gingerbread, butternut, ham, Sauternes, and Manchego cheese crumble. The best option is the five-course tasting menu with a wine pairing. Often described as the heart of Princeton, Bainbridge House was built in 1766, and today it is an information center managed by the Historical Society. Visitors can start their tours here in one of the oldest surviving and best-preserved examples of mid-Georgian architecture in Princeton. Boasting a colorful history, Bainbridge House provided accommodation for the Continental Congress, served as a boarding house for university students, and then housed the public library for over 50 years. The building has been restored to its original appearance with nearly 70% of the original interior work – additions include climate control, new electrical work, and structural support. 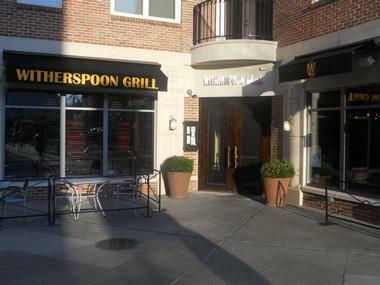 Witherspoon Grill is an exceedingly popular upscale New Jersey steakhouse where people to dine with important clients for lunch or to treat a girlfriend to dinner. Elegant décor, soft lighting, and a delightful patio set the stage for a memorable dinner that features rare treats such as Prime Angus beef, dry-aged Delmonico, and a huge Porterhouse for two. 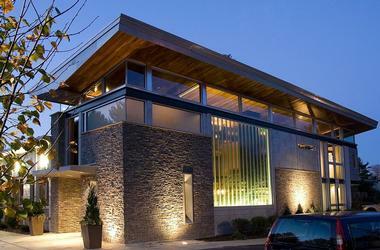 Their bar is very popular, featuring some innovative cocktails and a large selection of great wines. The Happy Hour snacks are also delicious, especially the very popular Lamb Lollipops with blackberry mint jam, yogurt, feta, and mint. The best time to come is Tuesday when a live jazz band accompanies your superb dinner. When they say that they take their “Farm to Table” policy seriously, the people at Agricola mean it literally: most of their certified organic ingredients come from their own Great Road farm or from friendly neighbors. While close to nature in food and encouraging communal eating and sharing at the huge recycled wood table, the restaurant is very sophisticated, from the exposed brick, high ceilings, and the wall of glass overlooking the street to the beautifully framed prints of flowers and fruits. The food is fresh, seasonal, and spectacular. Try their exceptional goat cheese and potato terrine or Long Island Duck Cassoulet with northern white beans, seared duck breast, house-cured duck confit, and roasted mixed root vegetables. The smells of Italy will hit you first: cheeses, spices, tomato sauce, hot pizzas, fresh breads, garlic, olives, and so many other aromas. 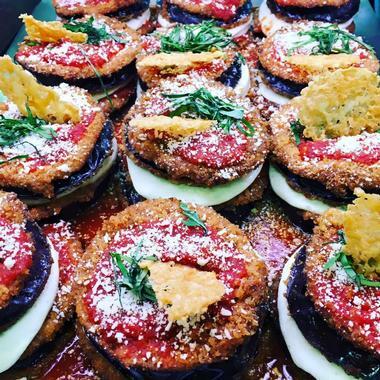 Then your eyes will go wide from the sheer number of choices: fresh pastas, so many cheeses, canolli big and small, cured meats, salamis, and prosciuttos – they have it all. The Bent Spoon makes the kind of ice cream that will have you trudging through deep snow in your snowshoes to get to in the middle of January. It is beyond ice cream – it is pure indulgence, an irresistible treat with flavors that are not at all what you expect to find in ice cream, though they are absolutely divine. The tiny shop with a few tables is cramped all the time, the line wraps around the corner, and nobody cares that it is snowing and that the wait might be more than half an hour. 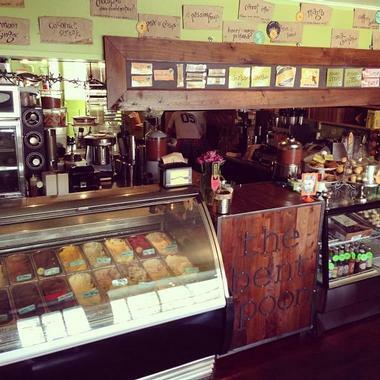 They have fabulous cookies, cupcakes, great coffee, and delightful hot chocolate. But, it is the ice cream that makes this little gem of a shop a place of interest. With hundreds of flavors of ice cream, sorbets, and gelatos, you will find exciting combinations such as Ricotta Pistachio Gelato, earl grey, chili, lavender mascarpone, chocolate habanero, cardamom ginger, and the heirloom tomato sorbet. 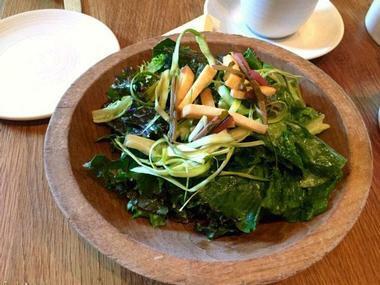 All ingredients are organic and come from local suppliers and farmers. 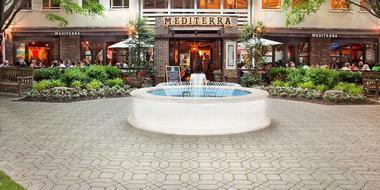 Mediterra is an elegant restaurant with large striking art pieces, rustic wood, and dark walls that create a warm, cozy atmosphere in an otherwise large space. Chef Terry Strong uses local fresh produce and farm products from the region to make inventive, interesting dishes from all 21 countries that border the Mediterranean coast. The focus is mostly on Spain, Italy, France, and Greece, but you can expect dishes from Turkey and Morocco to feature as well in the ever-changing menu. Portions are large and perfect for sharing, and everything is prepared to perfection. An extensive wine collection offers something for everyone, and there is a lovely outdoor patio for al fresco dining when the weather cooperates. Dining at Elements is a unique experience. The magnificent and ultra contemporary dining room has only nine tables, ensuring each diner gets the attention they deserve. The open kitchen is the main element of décor – you can sip your cocktail and watch the kitchen staff weave their magic. And it takes magic to make such a large number of NYC foodies take a two-hour trip across the Hudson to come and indulge in co-owner-chef Scott Anderson’s artistry. Presentation is big part of the experience, and it is good thing that each dish is served by one of the kitchen staff – an explanation is a necessity when you get a plate with a large forest log covered in wild mushrooms or a piece of chicken wire with quail eggs underneath. Be brave and go for the weekday’s four-course menu to taste it all – the experience is worth it, as everything is absolutely delicious. And definitively go for the wine pairing, since they do know their wines. Teresa Caffe is a delightful neighborhood Italian trattoria with a small, unassuming but cozy dining room with a friendly family vibe and several distinct dining areas. 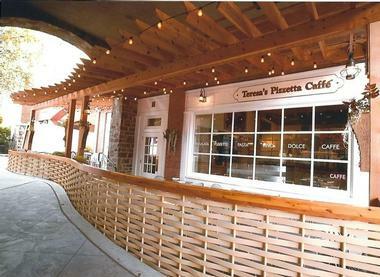 Their outdoor patio is romantic and cool, and it is situated in the shade of an old tree, making it the best spot to relax and sample Teresa’s fresh, seasonal dishes. Most of the produce comes from their own Canal Farm, and Teresa’s manages a fine harmony between the tradition and innovation, creating classic dishes prepared with modern interpretation. The best examples are their starters, which are designed for sharing, and include choices such as bruschetta with goat ricotta cheese, apple, butternut squash, and chestnut honey. The best time to come is the weekend when you can stop by for their famous brunch featuring fabulous fritatas and pizzettes with organic eggs and their strong Italian roasted coffee Bristot. You may also like: 11 Best Things to Do in Hoboken, New Jersey.